I've been meaning to do one of my Trader Joe's posts on their Indian frozen meals. You'd swear they were left overs from your favorite Indian restaurant. The Lamb Vindaloo will knock the wind out of you, it's so hot! So when I received a submission from a guest blogger on the health benefits and popularity of Indian Cuisine, I was happy to share his post. The naive amongst us may predict that by 2060, Americans will be eating liquidized food from sealed foil boxes. Dystopian predictions of the future have been dashed before and sense would suggest that dietary patterns would be more in line with America’s Indian friends than The Jetsons in 50 years’ time. The 1960s saw the first substantial wave of Indian settlers in the USA. The proud nation brought with it centuries of cooking and food preparation knowledge. The rich tapestry of cuisines present in the mixed culture of the United States welcomed a new and fresh weave. 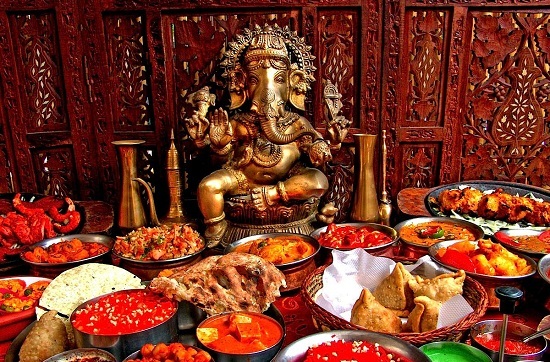 Now, fifty years later, Indian Cuisine is beginning to play a larger and larger role in the lives of millions of Americans. At the moment, the relatively mild Chicken Tikka Masala is arguably the most popular Indian dish in the USA. 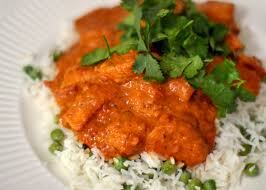 The Tikka Masala is a creamy tomato based curry, serving as a gateway curry for millions of American citizens. A sensible choice for anyone trying Indian cuisine for the first time. Then, move on to the decided spicier dishes such as Vindaloo and Madras. The spices that are intertwined throughout Indian Cuisine bring with them a litany of health benefits. People are ever-more conscious of the importance of their diet in relation to a multitude of health problems. From lower blood pressure to battling cancerous growths, the spices commonly found in many Indian dishes provide innumerate health boons. Chilli peppers are incredibly well-represented throughout many Indian dishes; these little devils can help improve heart health, boost blood circulation and lower blood sugar levels. The latter benefit is great news for the 25.8million people in the USA who suffer from diabetes. Indian Restaurants are already offering Americanized versions of their cuisine and culture. Indian style pizzas are a common sight in Italian Restaurants and Pizzerias; the diner biting into a taco in modern-day America is now likely to be rewarded with a burst of chicken curry. All of which demonstrates the steady manner in which Indian cuisine is penetrating American culture. 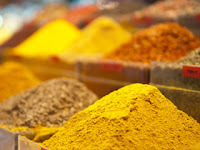 Feel free to make a comment on your favorite Indian dish and how often you dine in or out on Indian food. Chris Balme holds a long-standing fascination with food trends and how they come about. This unusual obsession was born within him as a child when he noticed that Chinese food differed depending where in the world he traveled to. Measuring cultural shifts and influxes of population; Balme has measured food trends against society and taken it upon himself to predict culinary climate of tomorrow to varying degrees of success. Above all else; Balme likes his culinary choices to display authenticity and genuine innovation.